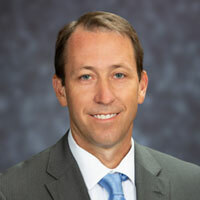 Seth London, based in Durham, N.C., was named a vice president in early 2018. In this role, he leads efforts to expand LeChase’s business in the company’s southeast region. This includes responsibility for managing client, employee and subcontractor relationships, as well as overseeing daily operations and ensuring projects meet or exceed client expectations. Seth joined LeChase in 2016 as part of the acquisition of local Lendlease operations in North Carolina – bringing two decades of experience in all phases of building construction. He has an M.B.A. in finance, as well as a B.S. in construction engineering and management, from North Carolina State University. He also has LEED AP® (Leadership in Energy & Environmental Design) accreditation from the U.S. Green Building Council.